2018 was a record-breaking year for Massachusetts. The state was ranked first in energy efficiency and increased power savings by the American Council for an Energy-Efficient Economy in their 12th annual report. A feat that we are proud to be a part of at Pope Energy. Now, as we look forward to the future, we can all be taking steps forward to an even greener future, especially in office building design. Prefab materials have become the norm as offices use demountable partitions for daylight access, ventilation and flexibility while also cutting down on drywall and the waste it adds to landfills. Prefabricated materials can ship finished to the building site, eliminating the volatile organic compounds (VOC) and air quality issues related to conventional drywall and finishing. Top companies are incorporating renewable energy sources and smart energy systems into both existing and new buildings. 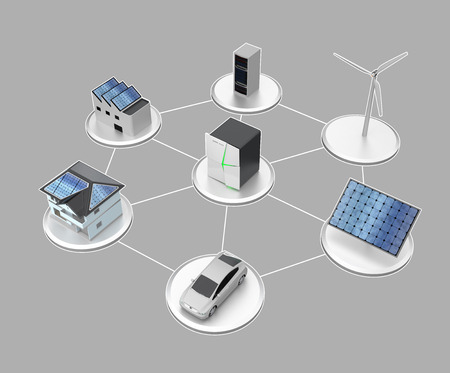 Distributed energy systems (DES) are at the core of this trend. DES is a new term that describes an array of energy generation, monitoring, storage and control solutions, covering electricity, heating and cooling. Not only is DES good for the planet because it reduces carbon emissions, but it’s also good for companies’ bottom line, as it reduces overall energy costs. 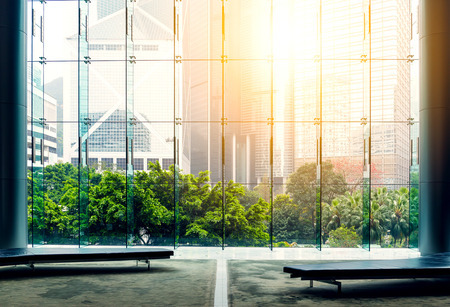 To help with the battle against climate change, a growing number of companies are choosing to build net zero buildings, which generate all of their energy needs from clean (non-carbon-emitting) sources. At Pope Energy, we’re always trying to stay ahead of the curve and work with our clients and state officials to combat climate change. We excel in developing and constructing commercial and large-scale solar photovoltaic projects for builders and property owners in Massachusetts. Give us a call today at 855-767-3363 to learn more. 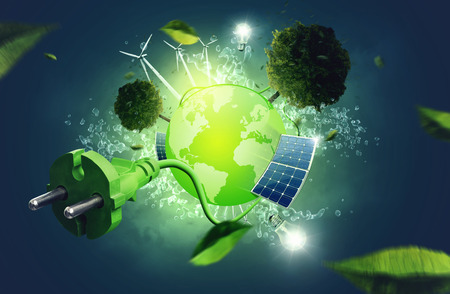 This entry was posted in Renewable Energy and tagged Distributed Energy Systems, Green Building, Green Office Design, Net Zero Buildings on March 26, 2019 by Pope Energy. Companies and municipalities around the country and the world are constantly pushing the green energy movement forward into the future, offering innovation and inspiration for renewable energy and technologies this year. In 2019, energy storage in the U.S. is expected to double. Supported by new policies, technology, and start-ups in this burgeoning field, the landscape for battery storage is increasingly diversifying, with large-scale utility units being used on bigger projects and storing more megawatts than ever before. What is perhaps the most exciting part of this all is that residential and commercial batteries—batteries that could support a household—have become more powerful, with bigger outputs and more capabilities. This means we could soon find ourselves with the ability to store energy at a scale large enough to power our homes for a significant period of time. On that note, the figures going forward are promising. After doubling in 2019, energy storage here is then expected to triple in 2020, demonstrating that this trend isn’t going anywhere anytime soon. Each year, more states are changing their regulations to allow batteries, albeit at pilot levels, to enter their energy markets. Strong performances here could convince lawmakers and consumers alike that these batteries can go beyond pilots, and become a real player in the energy industry. In other words: energy storage is here to stay. Whatever the news may be, we here at Pope Energy are keeping tabs on the newest innovations in the market, to offer customers the best products and services available. To learn more about energy storage, batteries and solar development, contact us today! 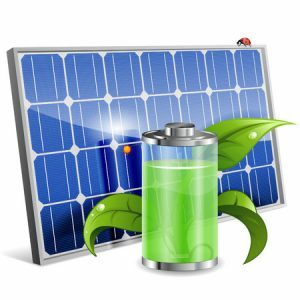 This entry was posted in Renewable Energy and tagged Commercial Batteries, Renewable Energy Innovation, U.S. Energy Storage on March 18, 2019 by Pope Energy. As a building owner, it is your responsibility to invest in the well-being of your property and the people within it. And recently, this means investing in renewable energy, specifically solar power. What we know of commercial buildings—be it schools, offices, or stores—is that electricity costs make up a significant portion of the overall cost of the building. This affects the cost of upkeep, and the rent that tenants pay. 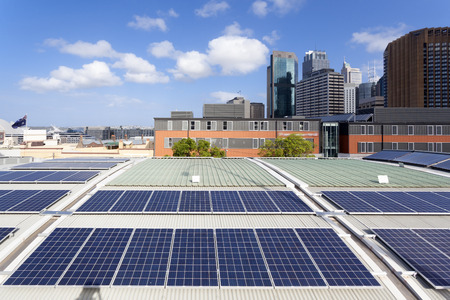 With a solar system installed, however, it’s been reported that commercial buildings stand to save between 20 and 40 percent of their electricity bill when they invest in a solar system. Solar panels are a low maintenance investment with a high reward. They are built to withstand the elements, creating a very reliable system to power your building with no noise or functional interference. 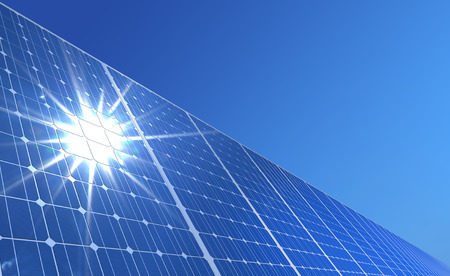 The longevity of solar panels is incomparable to any other utility electricity. There are a number of incentives on the state and federal level in place for you to invest in solar. It almost pays to go green. Not only does it improve the reputation of your building and add value to your property, the increased cash flow allows you to spend more on the commercial property itself, thus enhancing the experience for all tenants. If you’re ready to commit to commercial solar power and are interested in learning more about the investment, call on the team at Pope Energy. 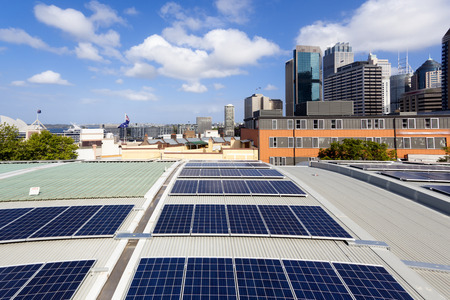 We combine energy efficiency with the latest technologies to outfit your building with a solar system that meets your needs and reduces your carbon footprint. Call us at 855-767-3363 today to learn more. This entry was posted in Solar Energy and tagged Commercial Building Operating Costs, Commerical Building Solar, Commerical Solar System, Solar Power Incentives on February 20, 2019 by Pope Energy. The Massachusetts legislature recently welcomed 24 new state representatives, the majority of whom are seeking to address the ever-growing issue of climate change. As it stands, Massachusetts, home to about 6.8 million people, receives about a sixth of its electricity from renewable sources, like wind and solar. That’s not enough for the new members of the Massachusetts state legislature. The newest crop of state representatives is pledging to transition the entire state to 100 percent renewable electricity by 2050—an ambitious goal that would put the Bay State at the forefront of the green movement. Out of the 24 new recruits, 14 have signed onto the pledge, and are now calling themselves the GreenTeamMA (https://www.desmogblog.com/2019/01/08/massachusetts-state-reps-support-100-renewable-energy-2050); a campaign platform that promises to shun donations from fossil fuel companies and promote new initiatives in wind and solar energy. Massachusetts could get to the 2050 goal through a variety of means. It’d require a percentage of residential and commercial solar plants, onshore and offshore wind farms, geothermal, and hydroelectric sources. But the result would be an entirely revolutionized grid, with a host of economic and social benefits for the Massachusetts people. What does a 100 percent renewable grid look like for Massachusetts? According to some observers, it means over 53,000 new construction jobs for the state, as well as 38,000 operations jobs. These are well-paying, middle-class careers, that could not only help lift low-income residents to the next step in the economic ladder, but also, help the state overall. With a projected savings of $8.2 billion in healthcare costs from air pollution, we’re looking at a healthier, happier state for everyone. As this state legislative session gets underway, we look forward to seeing the many efforts made by the GreenTeamMA and other representatives to make this viable green vision an achievable reality. 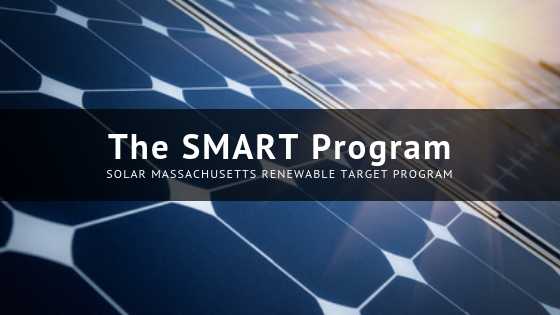 For more information on solar development in Massachusetts and supporting the green initiative, call the team of experts at Pope Energy at 855-767-3363 today! This entry was posted in Renewable Energy and tagged 100 Percent Renewable Electricity, GreenTeamMA, Massachusetts Legislature, Renewable Energy Grid on February 18, 2019 by Pope Energy. Advancements in technology and favorable regulations have drastically increased the viability of solar for a wide-array of businesses. 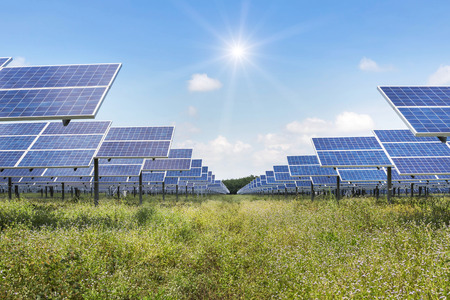 If you are thinking about incorporating solar energy into your large-scale project or industrial or commercial facility, Pope Energy can make that a reality. Let’s explore some of the numerous benefits your company could take advantage of by switching to solar. The most obvious benefit of solar energy is of course reducing your company’s carbon footprint and environmental impact. Unlike fossil fuels, the source of energy used is limitless and does not generate harmful byproducts like pollution. Harnessing the power of the sun allows the need for a stable and inexhaustible power source to be met, while simultaneously contributing to sustainability goals. While moving to renewables is a necessary goal, businesses must weigh that consideration against economic needs. Luckily, solar power can also financially benefit your company. The cost per kilowatt-hour has decreased to at or below other energy sources, with researchers predicting solar to completely undercut other fuels for the same power by 2020. Federal subsidies lower the average cost of solar to $.08 per kilowatt-hour and long-term predictions anticipate a fixed rate below $.10. The availability of state subsidies can reduce this cost even more! While there is an initial investment in solar systems, prices have been shrinking significantly over time. Moreover, commercial users have the added benefit of the economies of scale dynamic. This means the cost per watt paid for a solar system decreases as the size of the system increases. Solar is expected to undercut the competition in coming years, so investing in the installation of these technologies today while other incentives are in place will put you ahead of the curve. Investment now is a sure way to save your company money on future energy costs. With all the economic and environmental benefits to solar, why might some still be skeptical? The ability to provide power when the sun isn’t shining may be an area of uncertainty for people. Storage solutions are a major innovation area for solar power that can be utilized day or night, rain or shine. Additionally, commercial solar users tend to require higher amounts of energy during the day when energy production is at its peak making it a quality energy source for daytime businesses. Utility Demand Charges are capable of being reduced with the inclusion solar + storage and the economic capabilities of battery storage are forecasted to expand in the near future. Assessing your company’s needs and the availability of technological advancements in storage will ensure you have a consistent reliable power source regardless of outdoor conditions. These are just some of the many advantages of transforming your company’s energy source to solar. Contact us so we can further discuss the specific needs of your solar project and any potentially applicable subsidies your company could use to save even more. Please call 855-767-3363 today! This entry was posted in Solar Energy and tagged Commercial Solar Panels, Large-Scale Solar, Solar Energy on January 2, 2019 by Pope Energy. The global energy storage market is growing by leaps and bounds due to well-designed state energy policies and declining storage cost. Although the annual installation size of energy storage sat at under 0.4 gigawatts back in 2012, it currently sits at right around 6 gigawatts and is expected to grow to more than 40 gigawatts within the next five years. There are a variety of different renewable energy markets across the world that are helping guide this growth. Here are a few markets to keep an eye on in 2019. Although China hasn’t been strong historically when it comes to energy storage, it appears as though they’re poised to change that in 2019. They have more than 2 gigawatts worth of electrochemical storage projects underway at the moment and are predicted to keep growing as a renewable energy market next year. There has been some hesitancy in Japan to bet big on offshore wind energy in the past, however Tokyo Electric Power Company, which is one of the largest utility companies in Japan, sounds like they’re ready to take the leap. If all goes according to plan, it would provide a huge boost to the global energy storage market. Nigeria has the largest economy in Africa at the moment and is also the biggest oil producer on the continent. Yet, more than 50 percent of the people in the country don’t have direct access to clean energy. This could all change in the coming year as Nigeria makes a push to establish its solar market. Energy Storage in the U.S.
America already leads the world in energy storage, but that isn’t going to stop U.S. companies from continuing to push forward with new renewable energy projects. 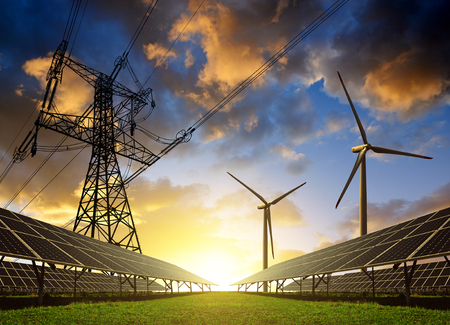 California, Hawaii, New York, the Carolinas, and Massachusetts are all expected to play a big part in further energy storage developments in 2019. At Pope Energy, we specialize in developing and constructing large-scale solar photovoltaic projects for our clients and work towards reducing your energy costs with batteries and other energy storage technologies. Call us at 855-767-3363 today to see how a solar development project could benefit you. This entry was posted in Renewable Energy and tagged Renewable Energy, Renewable Energy World Markets, U.S. Energy Storage on December 15, 2018 by Pope Energy.